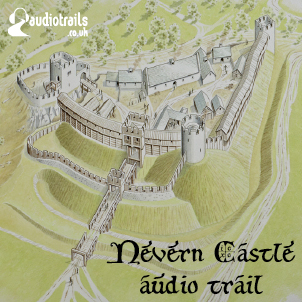 The short and colourful life of Nevern Castle, in the Pembrokeshire Coast National Park, has been brought to life in a new MP3 audio trail for visitors. During the 12th century, Nevern Castle stuck out like a sore thumb, proudly stamping its authority on the Pembrokeshire landscape. Today, you’d be forgiven for walking straight past it. The stone and timber defences are nearly all gone, yet entombed in the earth are treasures: fragments of pottery and other artefacts that provide a window into castle life in the 1100s. The audio trail, produced by Audio Trails on behalf of the Pembrokeshire Coast National Park Authority, features locals, schoolchildren and archaeologists. It provides a guided tour of the remains of one of the earliest Welsh stone castles, built in part by the great Welsh lord, Rhys ap Gruffydd.